If you reached at my blog before you will realize that my whole blog looks is completely change. 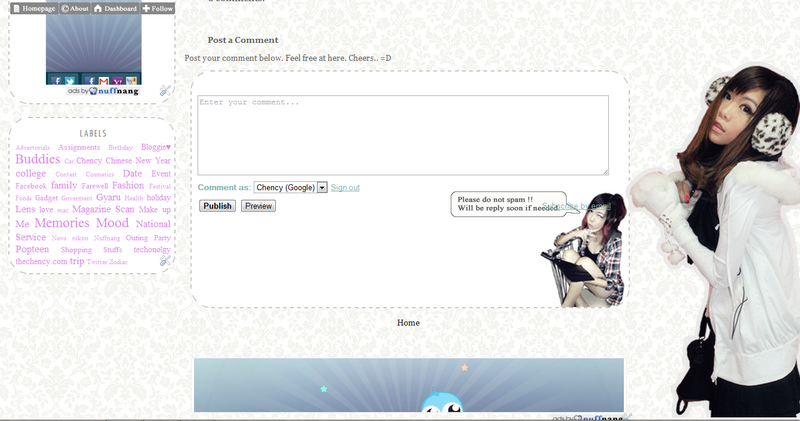 What do you think about my new blog looks? How do you like it? 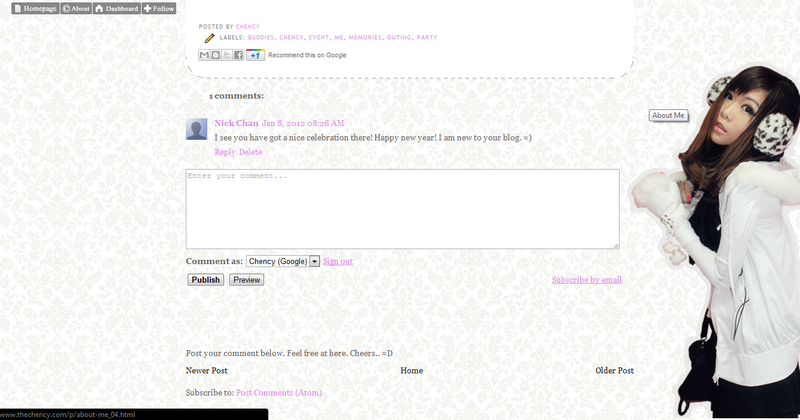 I still remember the latest blog looks I changed before was on 20th August 2011. The concept for this blogskin named Grey Modvin. I wanted something more modern and vintage but not lost the girly look rather than pinky girlish looks blogskin. Other than that, I always do think that PINK is not suitable for me coz I not really like pink a lot. It’s more suitable for juvenile cuties. I keep my blogskin as simple as possible but not lost to make it unique only for myself. So I made decision try putting my header on right side and the final make me feel so lovely. I make it changes in period of time automatically so it’s won’t bored by always view the same pictures. By the way, thanks a lot to @Edwin my besties photographer shooted this gorgeous photo pictures to me. But there still some of problem I can’t solve…….like……..this….. When I post a super long post, the border will disappear don’t know to somewhere else. I still finding solution on it but if anyone here knows the solution, please comment or email to me. Another problem that I found was the comment box. As you can see, my comment box is beautiful work some more with hover images effects. So any wrongs? Talks about widgets, if you use Shoutmix as a chat box, I think you already realized that Shoutmix is not free to use anymore. If you wish to change to other, I suggested trying this, Goggle Comment. I use about 13 hours to finish this blogskin coding. Every widget is definitely made by me so please DO NOT EVER CLAIMS. 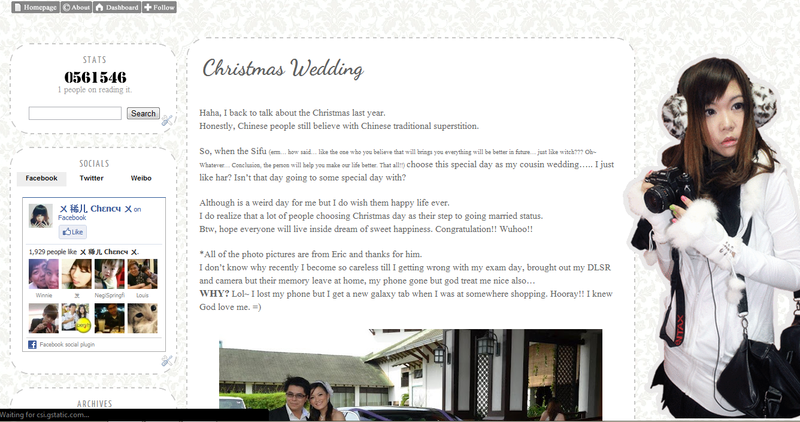 I seem abandon my blog alot so I will try to keep in touch with my bloggie at least few times a week if could.